Update December 4, 2018- Breaking now: Mueller will recommend no jail time for Flynn. That is because Mueller has no case, as I detailed below. Update June 29, 2018- Mueller’s team filed a one-page motion in court today to delay again the sentencing of Michael Flynn, meaning his guilty plea is still not finalized and he can rescind or fight the charges. Given that the FBI agent in charge of allegedly catching Flynn in the act of perjury was Peter Strzok, now disgraced and ousted, this likely means that Mueller has no case that would stand up in a jury trial. Update February 15, 2018- Flynn’s sentencing has been postponed until May, and the new judge is hostile to the federal prosecutors. Update December 7, 2017- The judge overseeing this case has now recused himself for unknown reasons. This case stinks to high heaven. I spoke today with a senior member of the Trump legal team. I asked them whether the Michael Flynn plea bargain deal, where he agreed to plead guilty to lying to the FBI, was irreversible. It is not. No judge has signed off on it yet. I then asked whether they were considering, in the light of the news that the top FBI investigators who trapped Flynn into the plea days before being fired by Robert Mueller for sending pro-Hillary Clinton messages to one another, having Flynn rescind the plea. While the person I spoke with is not Flynn’s lawyer, he gave me a detailed legal analysis for why it would be very feasible and proper for Flynn to take back his guilty plea. I have not spoken to any of Michael Flynn’s lawyers, but I can say that The White House is aware of the above and that they are contemplating such a development, should it happen. If Flynn were to rescind his please, it is unlikely that federal prosecutors would be able to convict him of any crime in criminal court given the reasonable doubt created by the bias among the FBI investigators. The entire Muller special investigation would also be dealt a blow to credibility. Mueller and his corrupted team are turning America into a banana republic. Yes, that is what it means. A plea is not final until a long time later when a judge signs off. However, in this case, the FBI tricked Flynn by not telling him that they themselves were being fired from the case. The lawyer gave me a legal term that I did not write down, but pleas can be rescinded when the full information is not provided. The threat of prosecution is effectively gone. No jury would ever find him guilty now. Doesn’t a plea deal mean: I plead guilty to this, and you do not indict me for this. If either side reneges or changes his/her mind before an actual indictment or conviction, the deals off. No? My previous comment is incomplete. (It should read.) Doesn’t Flynn’s plea deal mean: I plead guilty to lying to the FBI, I testify truthfully and provide truthful evidence of the crimes of others. If I do this, I will not be indicted. If either side reneges or changes his/her mind before an actual indictment or conviction, the deals off. No? 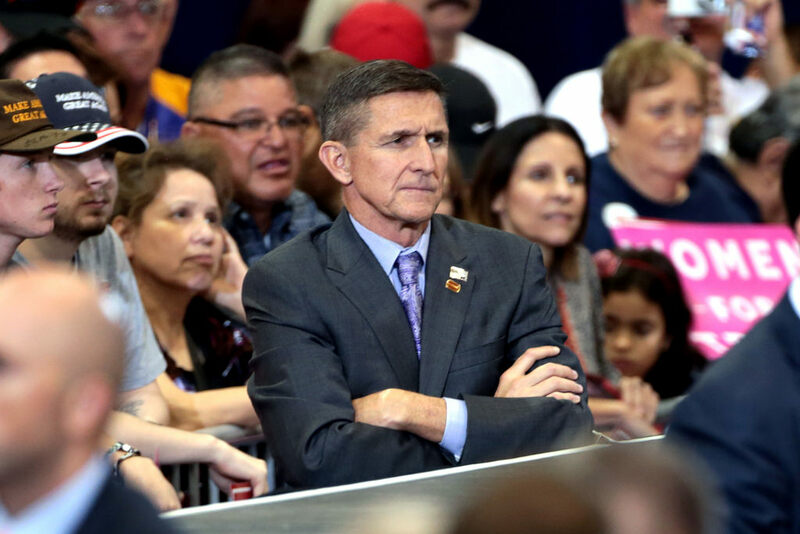 Reply to editor: Your point then is Flynn can not only rescind his plea at his own discretion but, based on the entrapment, he can easily avoid prosecution after a recision. I have tried to find some support for the conclusion that Flynn was trapped. Don’t see it in your statement nor on the internet. Does it have to do with the Hillary Clinton messages sent back and forth? No. Not “entrapment”. That is when law enforcement tricks someone into committing a crime. This is different. In court proceedings, the prosecution, all sides actually, have to provide all evidence that they have on them before pleadings can be made. In this case, the Mueller team withheld the fact that the head FBI was so biased that he was fired from the team.